When we bought our first home, my husband and I were warned about the bamboo growing on our back hillside. Friends told us that the bamboo was invasive, that it would eventually send shoots all over our yard. Unfortunately, they were right. My husband and I spent many weekends digging trenches to prevent the bamboo from spreading, pulling up the shoots, and silently cursing the person who had planted it. Yet, we stopped cursing it when we realized the bamboo fueled our children’s creativity. Once our kids were old enough to play outside on their own, they discovered the hillside and started calling it the “bamboo forest.” It wasn’t very large, but in their minds it had all the elements of a forest – tall growth, a blanket of leaves, and a magical element that unleashed their imaginations. They spent hours in the bamboo, building forts from fallen branches and leaves and having all kinds of fun. We sold that house many years ago, and my kids, now teens, have fond memories of the bamboo. I was reminded of it just the other day when I heard my son and some friends talking about houses they used to live in. In his now deep voice, my son enthusiastically described the bamboo and the fun he and his sister had there. In hindsight, I’m happy that the previous owners planted it. It provided a constrained space perfect for inventing imaginary worlds. Our kids didn’t need a special toy or after-school activity to teach them how to be creative. 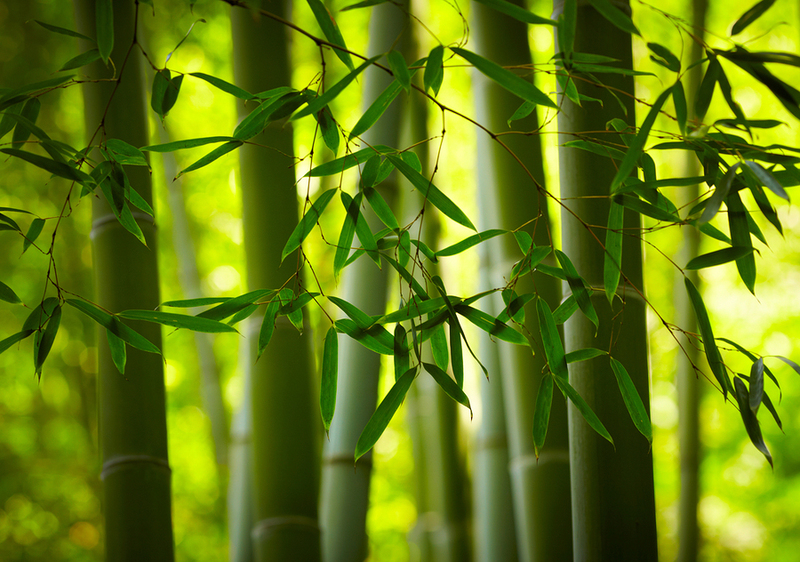 Leaders and parents alike, do you have a bamboo forest to encourage innovation? Please share it in the comments. I’d like to hear from you! We have an actual bamboo forest that the kids play in like yours did. I love it. It’s not what you asked about, but your description sounded so much like my yard that I had to say something. Fantastic! I hope your kids have lots of time this summer to enjoy playing in your bamboo. Love this post. Awesome. Three thoughts immediately spring to mind. One is that my kids not only have too many toys, they also have multiples of the same toy. One of the boys purposely popped a hole in a basketball to watch it deflate. And then did another. Obviously, he had too many basketballs and was not using them creatively. So we took out all but one of each kind of toy and it has been interesting to watch them play! The second is a constraint I ran into when decorating our house. I am not a decorator and I don’t even find it fun. I was so overwhelmed that I wished we had a purple sofa or something like that for me to work around and to limit my choices. And the third is around creative time management. When I was working full time, I got much more done in my time outside work. Still, I could think of a thousand things I would do if I had even one wide-open day. But when I quit my job and had endless wide-open days, it was more difficult for me to use that time creatively to accomplish my goals. Again, thank you for the great post. Thanks for sharing all these thoughts, Marie. I’m smiling about the purple couch. I know just how you feel! We are enjoying your son’s deep voice in choir :). Thanks for welcoming him to the group, Susan!